Hello, ladies and gents! The outpouring of love and support we have received is nothing short of incredible and we are overwhelmed with it. There aren't words to describe how we felt knowing that this sort of atrocity happened in our backyard and now, no words to describe how supported and loved we feel with the help of all of you. Let me start by saying a simple Thank You. When I try and look for words that are better than that, I can't even come up with any because none would suffice. Then make a block, even one block will help. Send in some binding, send some backing fabric, send some money (we will need it for postage as some victims families aren't in the area), just repost or share in solidarity, give us a virtual high five or hug. It all helps. By all means, do your thing. I chose the block so everyone could take part. I know there are plenty of heart blocks out there and feel free to use anything you'd like. I only ask that your quilt includes a heart or hearts of some sort and that it's mostly brights and/or rainbow. I chose brights and rainbow to represent not only the LGBT flag but also ALL of the different people affected by the event. I also want them to be cheerful and want the recipients to know that these are created with love, given with love, and in using them, they will be covered with love. I want them to be comforted knowing that even strangers care and that they did not go through this without the support of others. 7. What's the due date? My original thought was to the survivors in the hospital. Then it grew and I thought maybe to the victims families as well. Now I think we will have enough to even give to first responders that were on the scene, police officers, nurses, doctors, hopefully, anyone that wants one. If there are leftovers, they will be given to either The Center, an LGBT community center who is pretty much ground zero for the help and also the Zebra Coalition who focuses their efforts on LGBT youth. 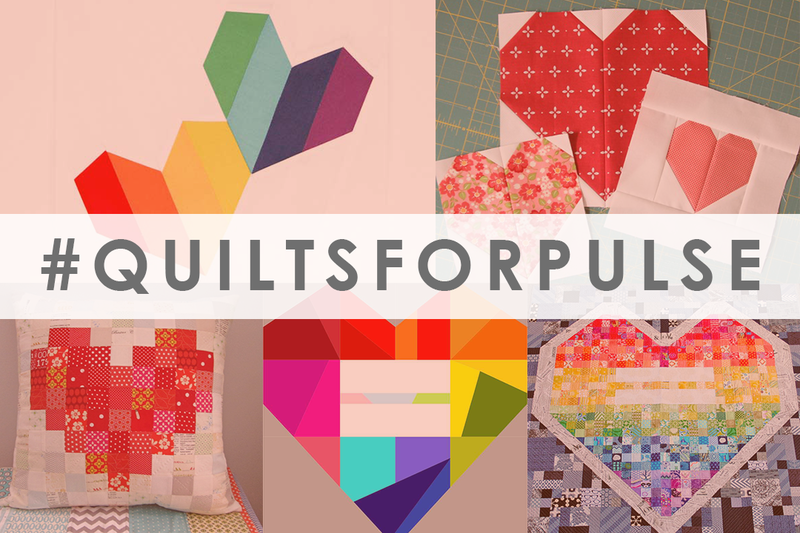 Hopefully, any and everyone affected will receive a quilt if they want one. We are still making contacts, so if you are personally affected by this please email me at alissalapinsky@gmail.com so we can work to get one to you! The June meeting of the TVMQG is Thursday at 6:30 p.m. You are welcome to come at 6:00 and do some pre-meeting shopping or socializing. 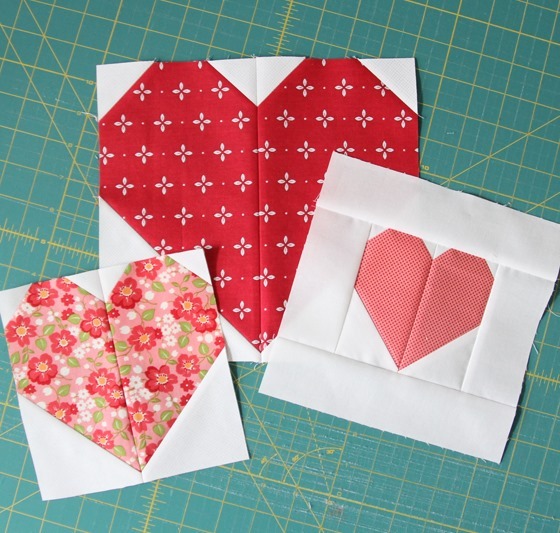 We are looking forward to our paper piecing demo from Angelica!! We are always looking for members to share their special talents and ideas so join the fun!! If you have any charity quilt blocks for our donation quilt completed, please bring them with you to share. We will be collecting them for awhile so don't fret if yours isn't done. We still have lots of fabric as well so if you didn't pick some up be sure to grab some at the meeting. We are also taking donations for our "Buck a Book" collection. You are welcome to bring any of your used quilt books, magazines, or quilt patterns for donation. For any of you who are not members yet, June starts the pro-rated membership price of $20.00. Its a great deal, and a great way to join in on the fun! 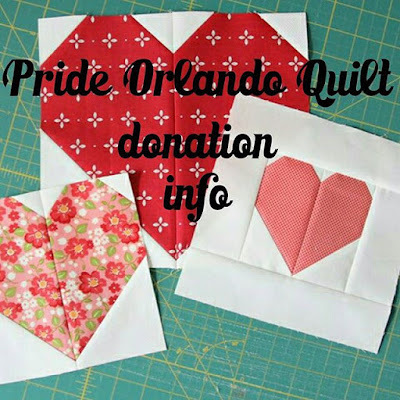 Here's some further information about the #QuiltsforPulse Charity Drive with the Orlando MQG. Blocks are due August 15 and quilts are due September 15. Follow this link for the blog post by the MQG, it's full of information and ideas. We're all aware of the tragedy that happened in Orlando last weekend. What do quilters do when tragedy strikes? It's simple, they make quilts. Alissa Lapinsky, President Orlando MQG has put out a call for quilts or quilt blocks featuring colorful hearts. You can read her blog post here. "We are making cluckclucksew 's 10" heart blocks in any bright color, with a low volume background. Please stay tuned for an address to send the completed blocks/quilts to!" I will post new information as it becomes available.